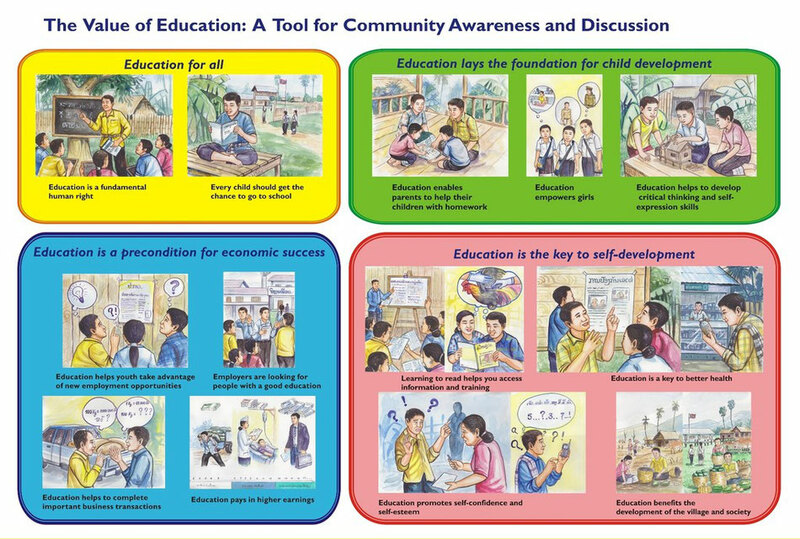 The Education for All (EFA) goal of universal access to, and completion of primary education by the year 2015, presents an immense challenge in terms of school construction and maintenance especially in remote and inaccessible villages of Lao PDR. Despite World Vision Lao PDR’s (WVL) efforts to give much greater focus on teaching and learning issues and classroom processes than ‘hardware’, the demand for permanent or even semi-permanent structure classrooms is still high, and further support is acutely needed. 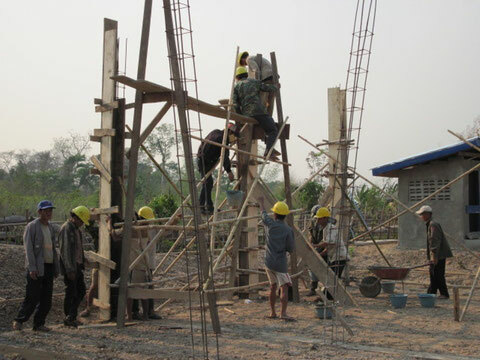 Before September 2005, all infrastructure activities implemented by the WVL Savannakhet office were completed by district- or provincial-based contractors using their own laborers and large equipment. The result was poor community ownership, responsibility and sustainability. 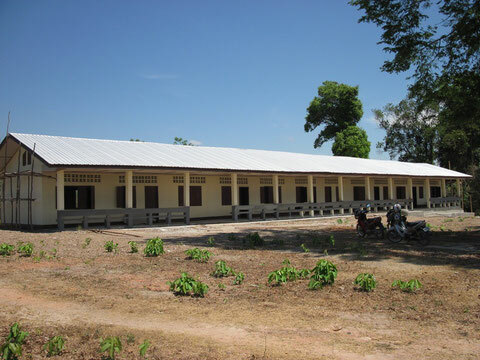 Looking for a solution to reduce the financial burden of building school facilities, while improving the capacity of communities to manage and maintain infrastructure, the WVL Savannakhet office developed a community-led approach towards school construction. 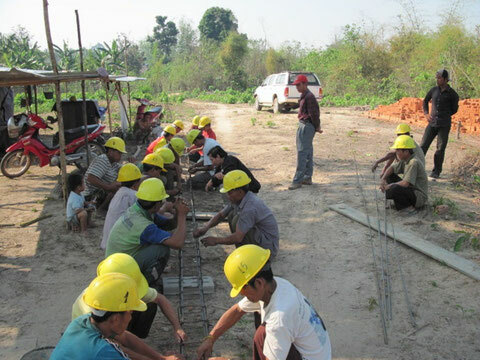 Emphasizing community ownership right from the beginning, community construction projects usually start with a request from village authorities endorsed by district counterparts. This is followed by a series of village meetings facilitated by the WVL project implementation team to ensure that the request to build or upgrade a school is actually a felt need which represents a broad consensus in the community. Once the community has come to an agreement, a design and estimate is prepared by a WVL engineer in collaboration with village, district and provincial authorities taking into account Government-approved design specifications. An important aspect of this method is the fact that it involves the whole community in matters that affect them. The approach makes possible to assist local people to mobilize themselves, initiate a construction and operations and maintenance committee, mobilize locally available resources (e.g. wood, stones, sand, […]) and assign villagers involved in the physical construction work. 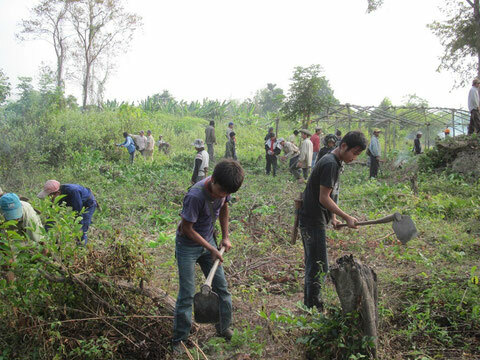 • On-the-job training and technical assistance of local workers and member of operation and maintenance committees. Through the development of practical skills (e.g. masonry, carpentry), community mobilization and management skills during the construction period target communities are empowered to sustainably manage school infrastructure on their own, once project support has been phased out. Moreover, the community-led construction approach also promotes self-help initiatives of the target groups, and contributes to their further empowerment. 5. Community-led constructions work very effectively when there is excellent relationship and strong coordination between the project team and the district counterparts. The Education for All Mid-Decade Assessment conducted by the Government of Lao PDR showed that enrolment rates for boys and girls in primary, lower secondary and upper secondary educations have risen steadily over the last 10 years. Despite of the strong commitment of the Government and development organizations like World Vision to universal primary education and growing enrolment rates, the fact remains that an estimated 10 percent of children never attend school. Along with many other reasons, low awareness among parents and community leaders about the importance of education remains for a strong barrier that prevents Lao children from ever attending school. Some of the parents in ethnic, remote and rural communities feel that they have better things for their children to do than go to school. Other parents think that their children don't need to go to school, because they will ‘just’ become farmers and stay in their village of origin for the rest of their life regardless of their education background. 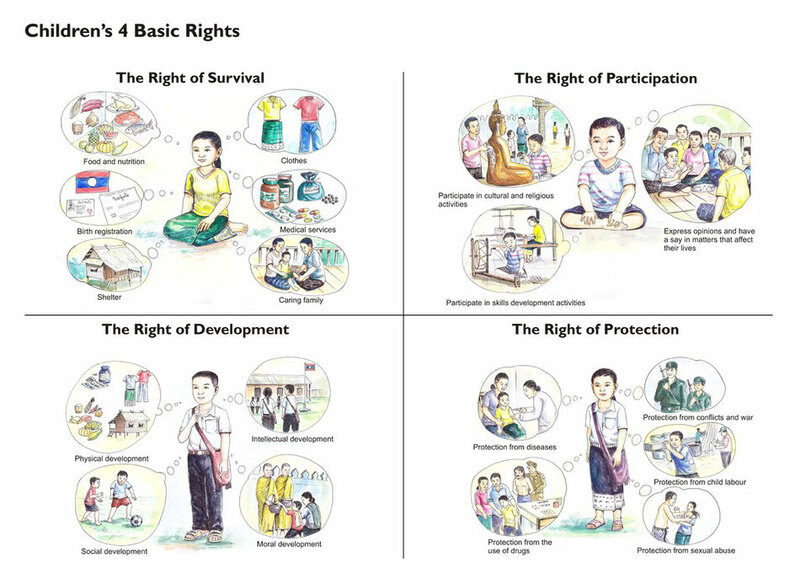 Schools of Quality (SoQ) is the rights-based, child-friendly approach to improving the quality of education in the Lao People’s Democratic Republic. The SoQ approach is based on the child-friendly school (CFS) model UNICEF developed to advocate for and promote quality education for every girl and boy. The underlying principle of SoQ is that school systems should be based on the Convention on the Rights of the Child, which the country made a legal commitment to in 1991. The SoQ approach aims to ensure all children realize their right to a basic education of good quality that prepares them with the life skills required to be healthy, productive members of society. It strives to guarantee that schools are well-managed, safe and protective environments that are conducive to learning and promote well-being and self-confidence. SoQ classrooms are supplied with relevant teaching and learning materials, and teachers are motivated, professional and skilled in organizing learning to meet the individual needs of students. Schools of Quality work closely with communities and especially Village Education Development Committees to ensure that all children enrol, attend school regularly and complete their primary education; that families support learning in the home and village; and that community aspirations for children’s education are met by the school (Schools of Quality: A Case Study on Rights-based Education Reform in the Lao People’s Democratic Republic, p. 13). 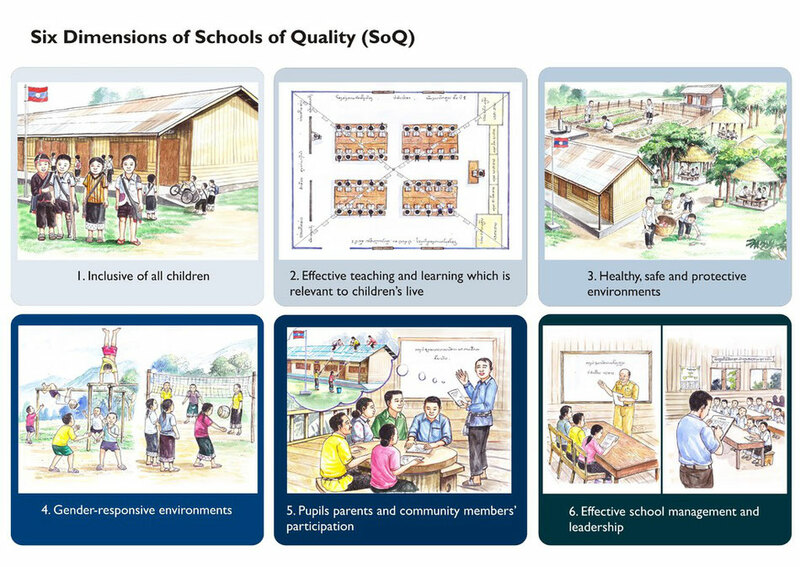 The poster shown below has been developed by the World Vision Laos Programme Quality Department to introduce the six dimensions of Schools of Quality to programme and project staff and to raise awareness on holistic education development. 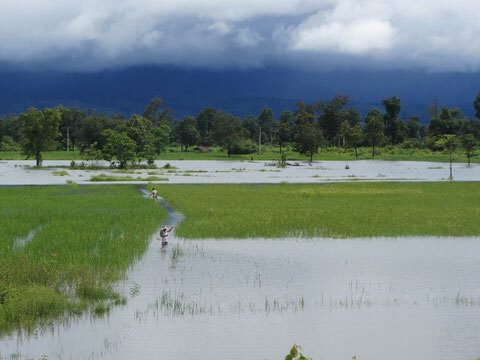 More than 436ha of rice paddies belonging to 351 households in 17 villages of Bolikhan district in Boulikhamxay province are prone to transient flooding. Pakkading has a total rice area of 9,000 ha. Many of the fields located along the Mekong river and the Nam Kading river are regularly flooded for about 2-3 weeks (in fields located at the higher elevations) to 2 months (in fields located at the lowest position of the area) with flooding depth ranging from 1 to 5 m. Many of the rice plots can’t be used anymore because of regular flooding. To the farm families and to the poor consumers who rely on rice for the bulk of their food, annual crop losses because of flooding can be truly disastrous. In recent years, the International Rice Research Institute (IRRI) has developed submergence-tolerant varieties of rice that can survive for up to 2 weeks. This is in sharp contrast to currently popular rice varieties that can survive under the same conditions for only 3 days or so. In close collaboration with IRRI, World Vision Laos implemented adaptability trials to enable farmers to identify suitable varieties that are either similar to or better than their best varieties but with tolerance for flooding. The approach helped to speed the adoption of submergence-tolerant varieties to benefit poor farmers regularly affected by floods. The dissemination of the sub-mergent tolerant glutinous rice-crop seed (TDK1-sub 1) and associated technologies will greatly contribute to reducing production losses caused by increasingly frequent and devastating flooding. Consequently, farmers’ food security and income will increase. Intervening at only one or a few stages in the life of a child or youth is often not enough for sustainable improvements of Child Well-Being Outcomes. A comprehensive and integrated approach towards child and adolescent development is required to address the structural root causes that create poverty, hunger, malnutrition and diseases. 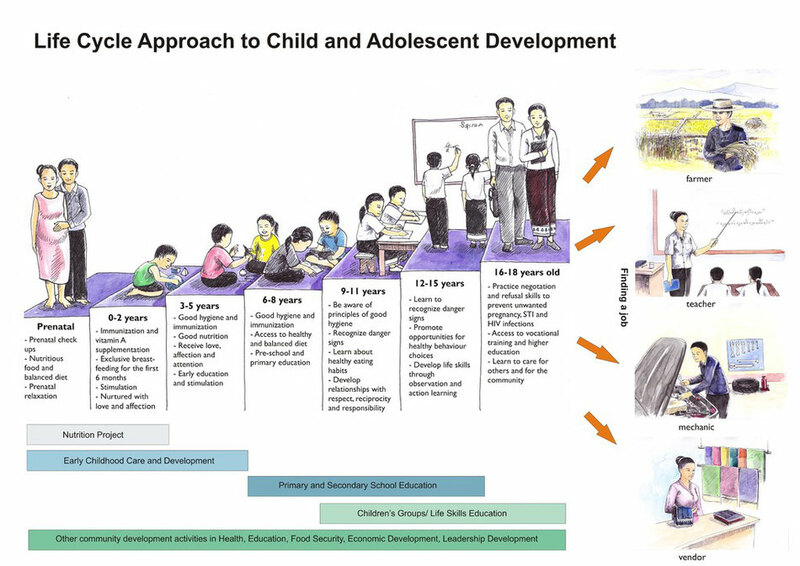 The ‘Life Cycle Approach to Child and Adolescent Development’ provides a powerful framework for ADPs to understand the vulnerabilities and opportunities for investing in children and youth at different stages in the lifecycle. Starting with pregnancy and birth, infancy, the pre-school years, and moving through the school-age years, adolescence, and early adulthood the poster shows specific interventions implemented by ADPs addressing the critical needs of children and preparing adolescents for optimal growth and development. As an advocacy and communications tool the poster is intended to help development facilitators and partners to identify priority interventions and recognise synergetic actions within different sectors. Committed to become a child-safe organization World Vision Lao PDR (WVL) recognized the need to come up with a simple communication tool to raise awareness on possible risks related to child protection and steps to be taken to report child protection incidents observed by staff, partners and communities. 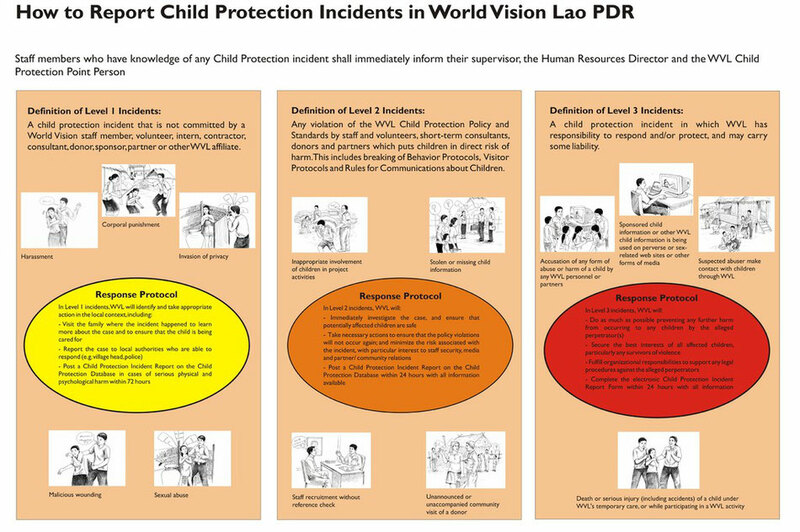 Illustrated with pictures of specific cases of child abuse relevant to the Lao context, the poster explains appropriate reporting procedures according to the three incident levels outlined in the WVL Child Protection Incident Management Plan. To encourage ADP target villages to set up community-based complaint mechanisms for child protection. Child Rights are fundamental freedoms and the inherent rights of all human beings below the age of 18. It is never too early to start teaching young people the financial skills they will need for life. In today's age, it is more important than ever that youth and young adults are prepared for the financial realities of the real world. 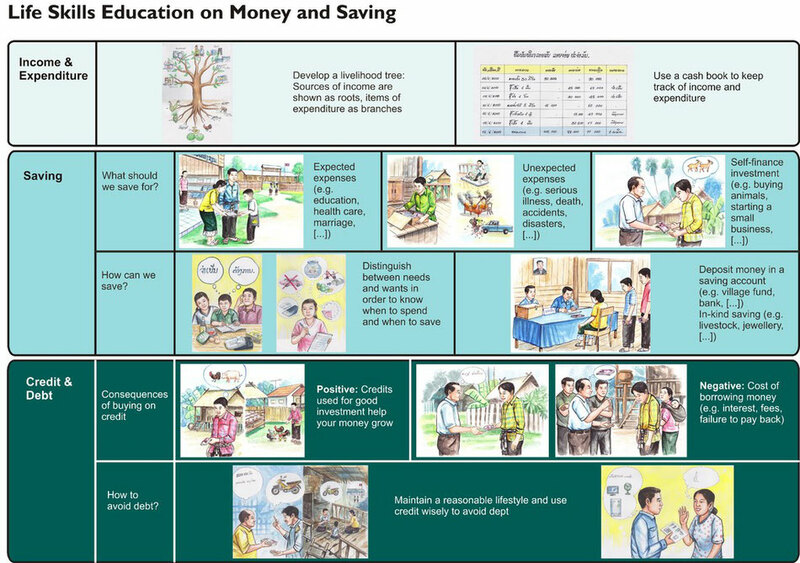 The message cards on money and saving are intended to introduce youth and young adults to basic money management skills.